^ Schmidt 2006, p. 315. ^ Mykytiuk, Lawrence J.（2004）. "Identifying Biblical Persons in Northwest Semitic Inscriptions of 1200–539 B.C.E. "（Atlanta: Society of Biblical Literature）, pp. 265–279. ^ See David Ussishkin, "Solomon's Jerusalem: The Text and the Facts on the Ground," in: A.G. Vaughn and A.E. Killebrew（eds.）, Jerusalem in Bible and Archaeology: The First Temple Period,（Society of Biblical Literature, Symposium Series, No. 18）, Atlanta, 2003, pp. 103–115. See also Cahill, J., "David's Jerusalem, Fiction or Reality? The Archaeological Evidence Proves It," and Steiner, M., "David's Jerusalem, Fiction or Reality? It's Not There: Archaeology Proves a Negative," both in Biblical Archaeology Review 24（July/August 1998）。（These two scholars argue opposite sides of the case for a Jerusalem in keeping with the biblical portrayal）. ^ 存档副本 (PDF). [2011-09-09]. （原始内容 (PDF)存档于2012-03-30）. ^ Norman K. Gottwald, Tribes of Yahweh: A Sociology of the Religion of Liberated Israel, 1250–1050 BCE,Continuum 1999 pp.156–157, p.162. ^ Donald B. Redford, Egypt, Canaan, and Israel in Ancient Times, Princeton University Press, 1992 pp.301–307, p.301. 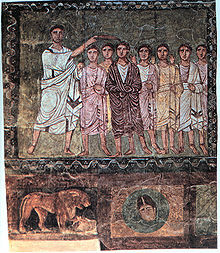 ^ Mazar A. Archaeology and the Biblical Narrative: The Case of the United Monarchy. ^ Baruch Halpern, "David's Secret Demons", 2001.Review of Baruch Halpern's "David's Secret Demons". ^ inkelstein and Silberman, "David and Solomon", 2006. See review "Archaeology" magazine. ^ Steven McKenzie, Associate Professor Rhodes College, Memphis, Tennessee. ^ "Strong's Exhaustive Concordance of the Bible". ^ "Biblos Strong's Exhaustive Concordance of the Bible". ^ Tsumura 2007, p. 423. ^ Babylonian Talmud, Tractate Sanhedrin. pp. 107a. ^ McManners, John. The Oxford Illustrated History of Christianity. p. 101.